Free for personal use only. Don't use this font for any commercial purpose as a part of logo/book cover/program/app, etc., before buying a licence from me. 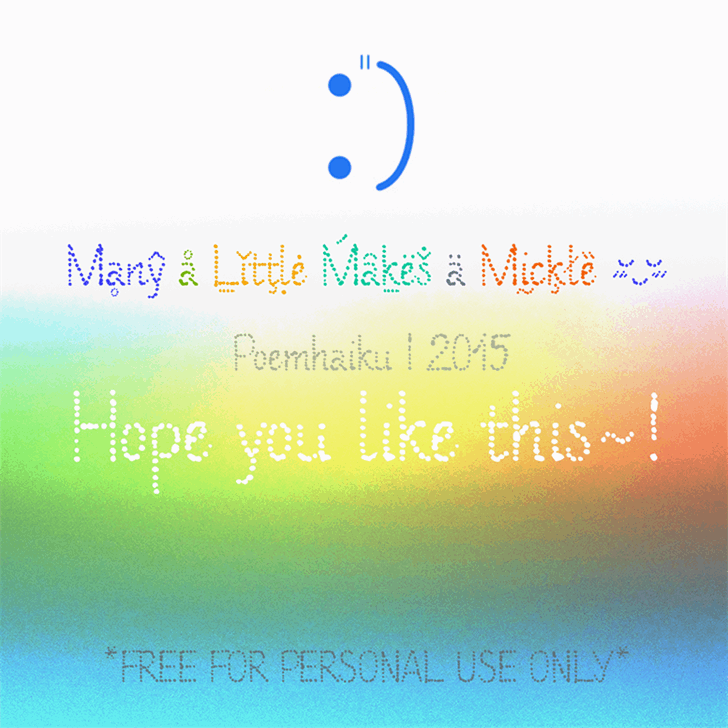 Many a Little Makes a Mickle Demo© Poemhaiku. 2015. All Rights Reserved.